Genevieve’s preschool had their holiday party today and I signed up to bring the healthy snack. Keeping Judith’s “Go Nuts this Holiday” challenge in mind, I decided to add pistachios to the menu. 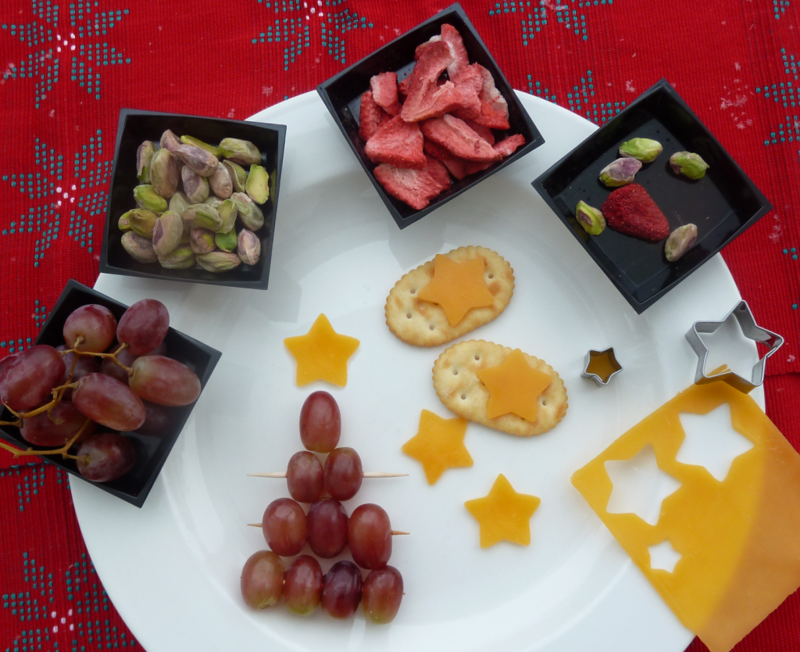 I created cheese star crackers (I think the idea came from reading, reading, and rereading the Dr. Seus book, Sneetches), a christmas tree out of grapes with a cheese star on top, and a side dish of dried strawberries and pistachios. The red from the strawberries and the green from the pistachios looked very festive together. This group of preschoolers is good about trying new foods. They all tried the pistachio nuts. If they didn’t finish eating them, their parents did! How cute!! Cache is a pistachio addict. If they are around he snack on them all day. Great idea.